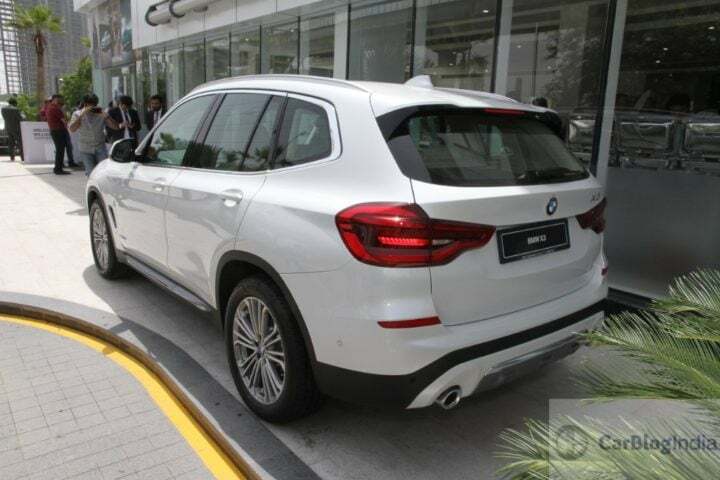 BMW’s latest SAV or ‘Sports Activity Vehicle’, BMW X3 is launched in India. The third generation of the BMW X3 continues in the premium mid-size SAV segment. The SAV also comes in ‘Luxury Line’ variant for the first time. The pricing of the car starts from Rs 49.99 Lakh to Rs 56.70 Lakh (ex-showroom). design scheme. Available in a locally-produced diesel variant, X3 is now available at BMW dealerships. The petrol variant will be launched later in 2018. The car is available in two variants – Luxury Line and Expedition. The car seems like an off-road – on-road car, capable of handling both of the situations. The pricing of the car starts from Rs 49.99 Lakh to Rs 56.70 Lakh (ex-showroom). 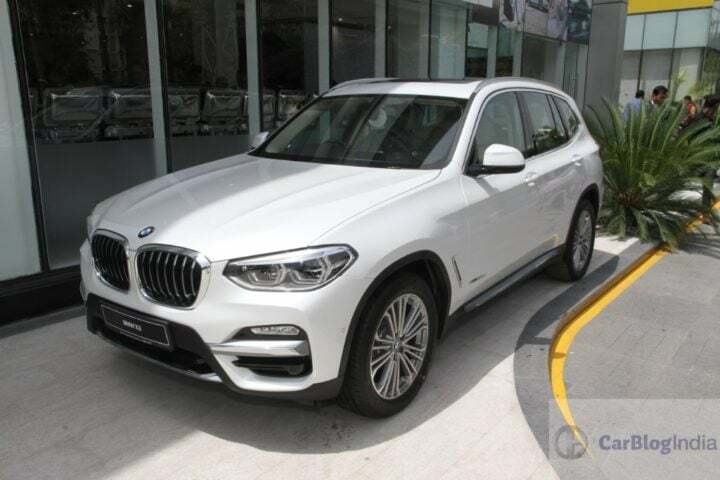 BMW X3 is powered by a twin power turbo 1995 CC inline 4-cylinder engine that produces 140 BHP worth power and 400 Nm worth torque. The car accelerates from 0-100 KMPH in 8 seconds flat. It gets an 8-speed automatic transmission with Steptronic, including Automatic Hold Function and gearshift paddles on the steering wheel. The xDrive – intelligent offers 4WD with variable torque distribution, Hill Descent Control and Hill Start Assist. Other driving features include Cruise control with braking function and drive modes of EcoPro, Sport and Comfort. On the exteriors, it gets Adaptive LED headlights, DRLs, LED fog lights and rain sensor wipers with automatic headlights. It comes with a new BMW Display key with LCD colour display and a touch control panel. Other exterior elements include Automatic parking function for passenger side exterior mirror and a panorama glass roof. 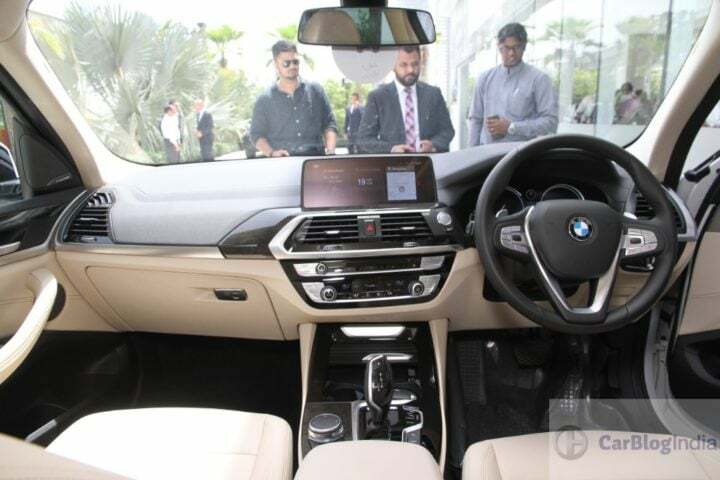 In the interior, it gets an automatic AC, roller sunblind for rear-side windows, instrument panel in Sensatec and a 12.3-inch infotainment system. The infotainment system includes Apple CarPlay, Park Distance Control (PDC), rearview camera, and a Parking Assistant with a camera. Citing safety measures, X3 gets ABS, airbags for all the passengers, Cornering Brake Control, Electronic Vehicle Stabilizer and Side-impact protection.